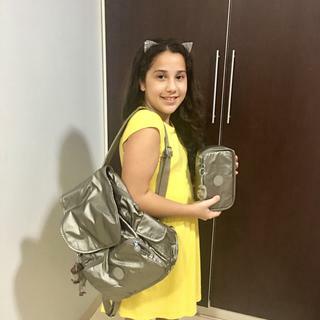 https://www.kipling-usa.com/50-pens-metallic-pencil-case/100256023.html 50 Pens Metallic Pencil Case The 50 Pens Metallic Case features nine pen loops for easily storing pens or pencils, and a roomy interior that offers room for markers, erasers, a glue stick and more! Plus, 50 Pens is perfect for storing cosmetics, craft supplies or any other small essentials you may need. Good quality pencil case. Color looked different on line but it is still not bad. Like the color. Great gift for a teacher to put in pens, highlighters, etc especially during meetings and district training, inservices, or PLCs. Perfect for my daughter for school!